Dubai - In the best of times, Algerian politics is infamously opaque; since 1995, the winner of every presidential election has been pre-selected by a shadowy elite, known collectively as “Le Pouvoir” or “the powers that be”. This month, ailing, 81-year-old President Abdul Aziz Bouteflika issued a decree calling a much anticipated presidential election for April 18 but without saying whether he will seek a fifth term. And this has added an additional layer of uncertainty to the political process. Algeria experienced the trauma of a brutal civil war, sparked after the army cancelled the 1992 elections which Islamists were poised to win. The war left 200,000 dead. Bouteflika, who assumed power in 1999, was credited with the country’s emergence from that conflict. 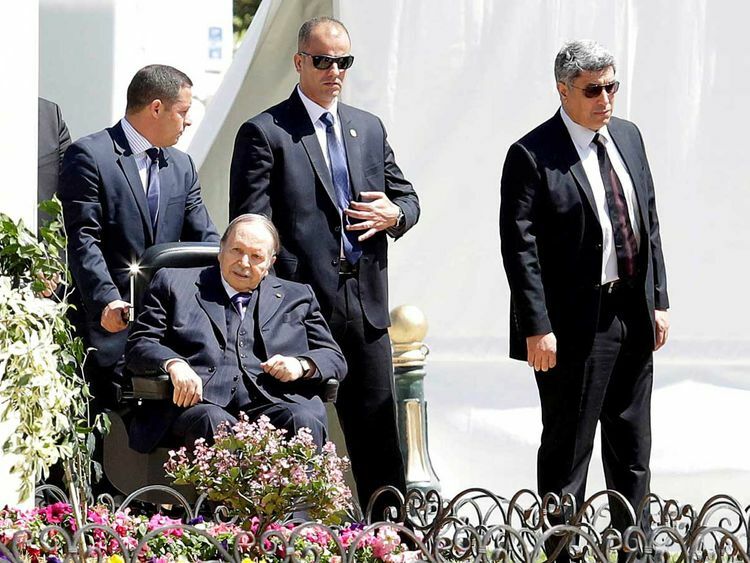 Few expected Bouteflika to stay in office for so long. But, over the course of the years, he gradually cut the powers of the military elite. And in the past few months, the composition of “Le Pouvoir” has been changed dramatically. A who’s-who of big shots from the army, the police, and the gendarmerie have been replaced. In 2016, Bouteflika also disbanded the powerful DRS intelligence agency, which had for a quarter century been led by General Mohammad Mediene, better known as ‘Tawfik’. Unquestionably the most powerful man in Algeria for over two decades, the general was also unceremoniously dismissed by Bouteflika. The ruling elite is accused of using patronage and repression to fragment opposition political parties and civil society organisations, and to maintain its networks. Yazbeck said “selective liberalising of the economy and of certain sectors was used by the regime to create and sustain a private sector business class with close ties to military and political elites, who were able then to widen the reach of their patronage networks and social base. Overall, the political system is predicated on systemic corruption that has enriched the regime’s supporters and has marginalised its detractors”. Bouteflika is widely expected to run again. “If not, it is hard to foresee at this stage with this level of opacity what’s going on in the country and who can run,” said Yazbeck.